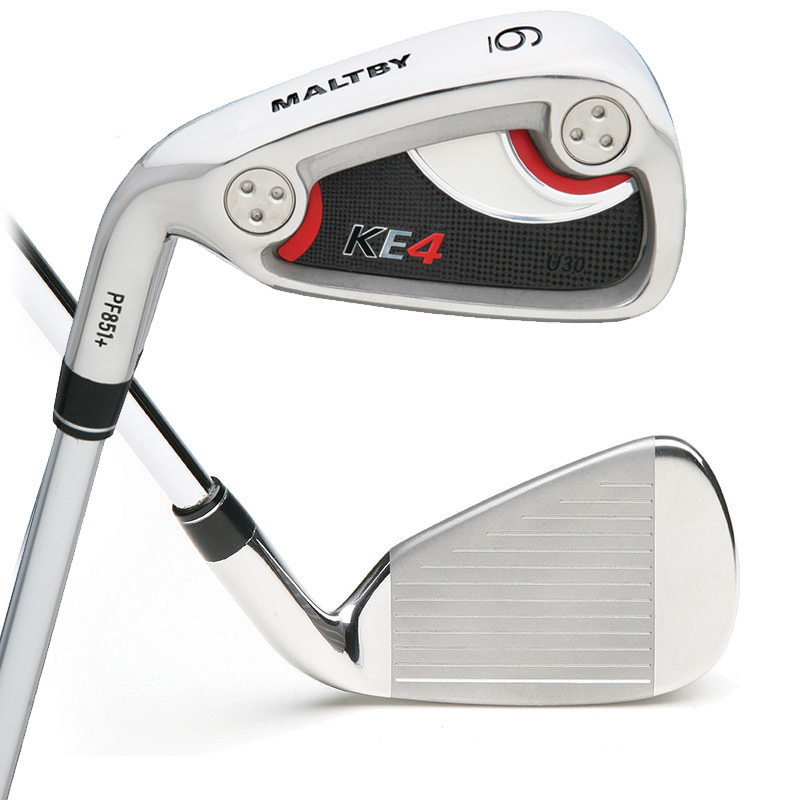 The Maltby KE4 U30 Left Hand Iron club head is a revised version of our original and best selling KE4 iron. The KE4 U30 maintains the extremely low vertical center of gravity (.635”) of the original design and falls into the Ultra Game Improvement category of the Maltby Playability Factor, with an actual MPF number of 1014. Ample progressive offsets help square the face at impact for straighter shots and the wider sole design is extremely turf friendly. The KE4 U30 design remains the most playable iron design on the market with a modern “players” cavity back iron profile.